We’re looking for candidates to stand for a number of local elections. Elected officials are just regular people—people with jobs, families, and all the rest—who are willing to do the work to keep our towns and county working smoothly. If you even might be interested, we’d love to know, and to help you learn what would be involved. In fact, that’s the subject for our June meeting. If you’re interested in learning more, either for yourself or someone else, there’s a form you can use to let us know, and we’re going to have a workshop at our June meeting to help answer people’s questions, featuring existing office-holders to speak about the process. 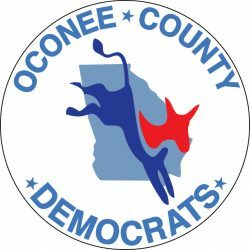 Send questions to ocgadems+candidates@gmail.com or (706) 705-2516. Generally speaking, you need to “qualify” (that is, register so your town or the county knows you’re running) in August. In many cases at the local level, that’s it: there may not be any opposition at all, and come the November ballot, you win. In any event, the party is here to try to help you, and to help you understand the process and the steps.